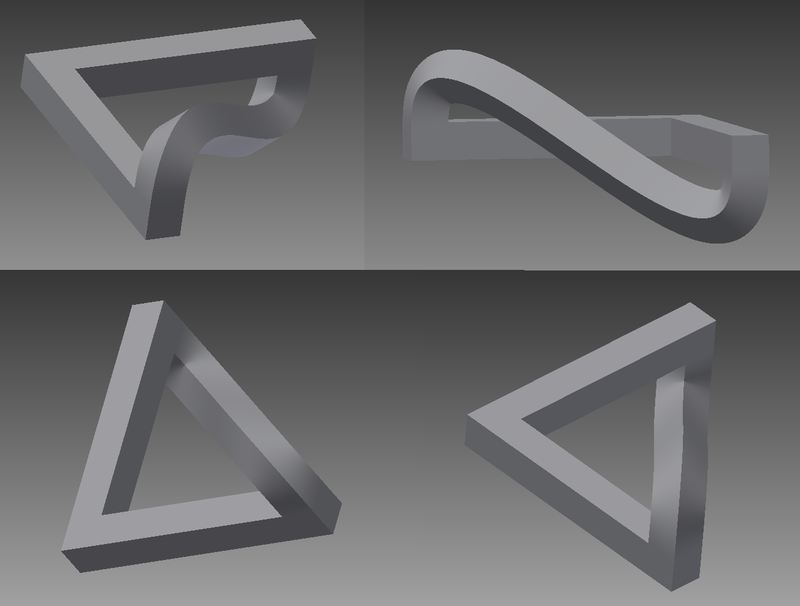 The Penrose triangle is one of these shapes that seems impossible to build but that you can model for fun and then print. Theres are aready a few version on thingiverse but they are with an open loop (here or there). I will here go over a short tutorial with Autodesk Inventor to build one version of the said triangle with a closed loop. On the bottom side of the L, create a sketch then project one of the center point that will be used for the next construction step and as a profile of the final loft. Create a three points plan using 2 opposite corners of one square of the first sketch and the center point from the sketch under the L shape. To build the sweep of the third side for the Penrose triangle, we need a profile. Add a sketch on the plane we just created. Project the 2 square center points and draw a construction line in between. 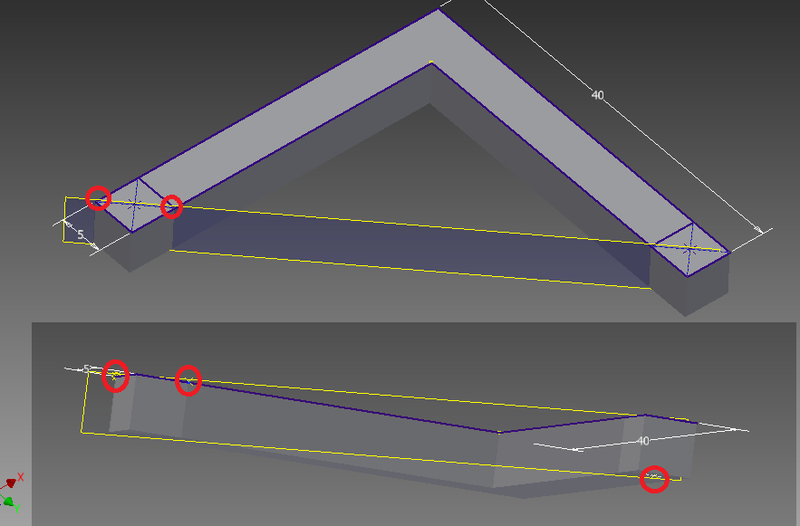 Then add a three points spline that goes from one center to the middle point to the next center point. Activate the handle of one of the end points and add a vertical constraint on the handle. 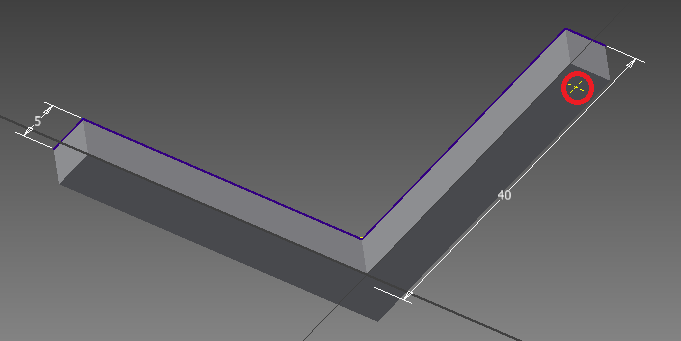 The spline should make a nice symmetric curve. Exit the sketch, and build a sweep using the top square as the profile and the spline as the path. 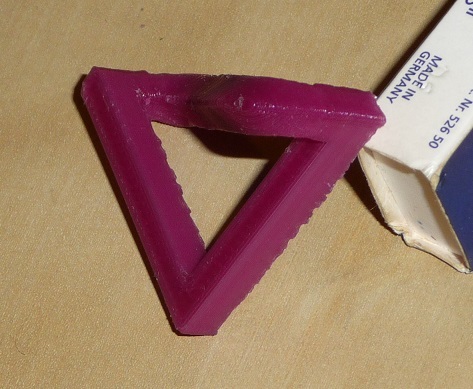 Enjoy your new Penrose triangle. You may want to experiment with the length and the side to get a good looking result. 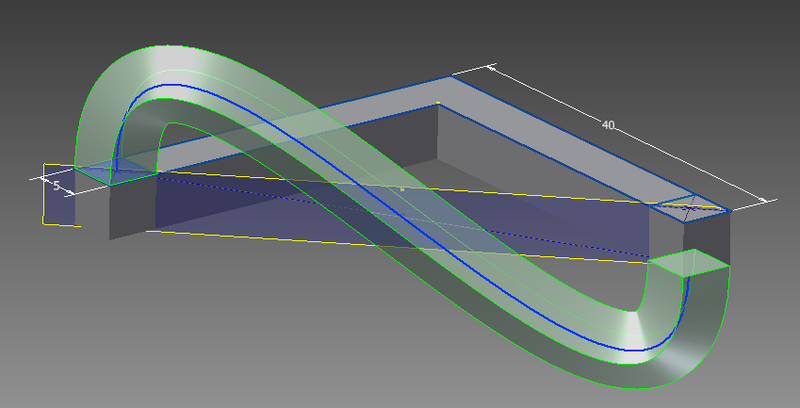 Try to minimize the curve of the spline without creating a self intersecting profile. Edit 4/19, I’ve finally printed this object, see here! 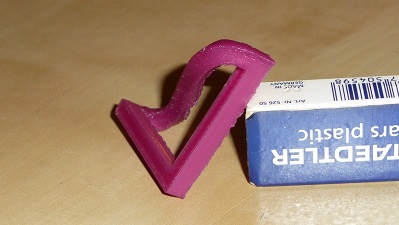 This entry was posted in 3D printer, Autodesk Inventor, Impossible Objects, STL files and tagged 3d printing, Autodesk Inventor, impossible objects, stl files, Thingiverse, tutorial on March 27, 2013 by damienideas.